7. Seconds and release the RESUME/RESET . 8. Press and HOLD RESUME/RESET for two seconds or more and release it. 9. Press and HOLD RESUME/RESET for two seconds or more and release it. 10.Unplug AC Power Cord to set data. provide power (electric wires enter). and wait some time after the light is not blinking. or try to check the error code indication. 1. Refill your HP cartridge ink use your favorite reffil. 2. Follow the diagram above, the electronic license plate cover signed in blue with translucent insulation (be careful, do not close the other areas). 3. Enter the cartridge into the printer. Printer will tell you there are problems in your cartridge. Ignore this warning. Printer will print the alignment page. 4. Take the cartridge from the printer. remove the insulation. Close the electronic plate marked with red color. Note: blue and red color illustration only. You do not give color to your HP cartridge. 5. Follow the steps no. 3. 6. Remove the cartridge from the printer for the last time. Shut off the isolation of the electronic plat. Place the cartridge in the printer again. Printer should print the alignment page and the ink level indicator on the toolbox should read full. Closed pin, pin not to shut. Scenario, a pc connected to a dot matrix printer, via port lpt1. But when used in any way, whereas before running well can not alias nge-print. how the steps to solve it? 1. Make sure the printer is running / on, and no error indicator or pause. 2. Make sure the cable is connected properly. 5. If you can not also then try to step No. 4, double click the printer icon, and see if there spooling or not, if yes, then delete using the delete button. After spooling missing, try again to step 3. 6. If not, try to turn off the printer, press the pause button, hold it, the computer turned on again, after a new flame printer pause button is released. then the printer will perform self-test. 7. If you still can not also then restart the PC, and enter the BIOS menu, and make sure the option Pararel Port tersetting correctly. Back to the windows, and try to step 3. 8. If you still can not ngeprint, try signing in dos mode, type net use command followed by enter. If there is lpt1 on the route will switch off with the command net use lpt1 / delete followed by enter. do step 3. The Canon IR5000 photocopier delivers high image quality, high speed output for departmental printing and copying. This multifunctional role eliminates the need for dedicated machines, reducing investment outlay. 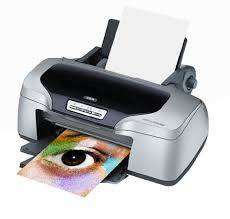 It also offers greater flexibility for printing on different paper sizes, complete with finishing. The Canon IR5000 photocopier offers 50ppm output speed with 256-level grayscale support. Taking image quality to the next level, it incorporates innovative image enhancement technologies to deliver an amazing interpolated printing resolution of 2400 x 600 dpi. Reliability is a key element of the Canon IR5000 photocopier, ensuring consistent and continuous output. This next generation digital system is based on Canon extensive experience and proven expertise in digital and imaging technology. Complete with the back up of Canon renowned service coverage. When the Canon IR5000 photocopier is configured only with an output tray, the image memory allows convenient electronic collation, with cross collated sets. A Finisher F1 is available offering a high output capacity of 2,000 sheets -in sorted, grouped or stapled mode. Up to 50 sheets can be stapled in a single set. 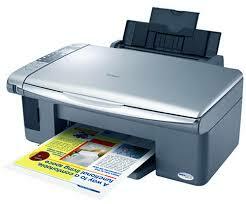 To my loyal readers, me-for you to make the user experience Printer Canon IP 1880. This Service manual contains diagnostic, repair, and maintenance information, which has been designed to assist the Service Representative in the isolation and repair of faults as well as maintenance of the Printer/Copier. 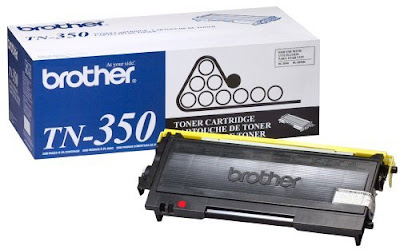 One of the earliest producers in first office equipment is Brother, a brand that has been innovating designs for long. Brother typewriters were esteemed to be the best and when the electronic edition came they were a big hit. From this esteemed brand name comes in the high-grade quality of original laser printer cartridges. As printer models have continued changing so have the cartridges. Combined with good quality paper they perform well. 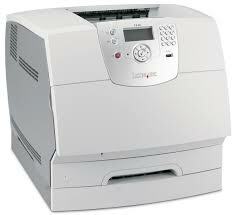 Download Lexmark T62X 4069 Service Manual. This service manual contains basic information required for after-sales service of the color laser printer (here-in-after referred to as "this machine" or "the printer"). This information is vital to the service technician to maintain the high printing quality and performance of the printer. Download Brother HL-7050 Free Service Manual. This service manual contains basic information required for after-sales service of the laser printer (hereinafter referred to as "this machine" or "the printer"). This information is vital to the service technican to maintain the high printing quality and performance of the priner. This service manual covers the Brother HL-7050 printers. c information required for after-sales service of the color laser printer (here-in-after referred to as "this machine" or "the printer"). This information is vital to the service technician to maintain the high printing quality and performance of the printer. 1. Change the date on your PC to February 1 2007. 2. Run the program. It will give Expired Program message. Program reset for Epson R800 (adjustment program), the program is complete, only for this printer model not lapses, with instructions on how to reset the printer. 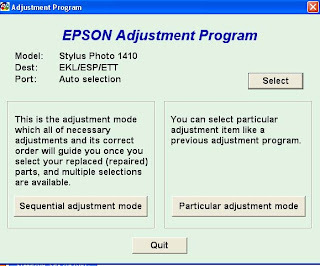 Program reset for Epson 1410 (adjustment program), the program is complete, only for this printer model not lapses, with instructions on how to reset the printer.